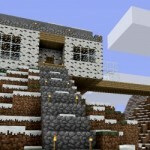 Independent video game developer Mojang has another reason to celebrate, after Minecraft passed 11 million sales for Windows and Mac. The official Minecraft website shows that over 11,000,000 people have purchased the game to date. The game was only launched officially in November 2011, meaning that Mojang has hit the milestone in a little over 18 months.